It was after 2 a.m. when transit cop John Kostick descended into Manhattan’s First Ave. subway station. On the Brooklyn-bound L platform, Kostick saw a tall, thin black man scrawl “RQS” on the wall in foot-high letters with a felt-tip marker. 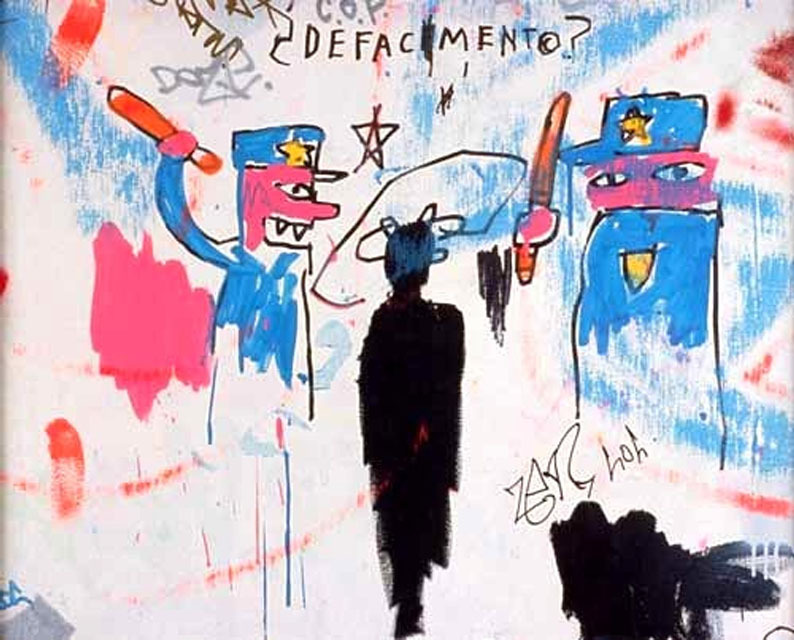 The cop did his duty and collared the graffiti tagger on that morning 30 years ago today, Sept. 15, 1983. He later said the man was resigned, almost cordial. Kostick cuffed the perp and walked him to the toll booth, where he took the man’s ID. His name was Michael Stewart, 25, an aspiring artist and model who was on his way home to Clinton Hill, Brooklyn, where he lived with his parents. He asked the cop not to call and wake them. According to Kostick, Stewart’s disposition changed as they waited for the arrest transport van. He bolted upstairs, with the officer on his heels. “At the top, Stewart fell face-forward on the ground,” Kostick would later say. The cop held Stewart to the ground until the van arrived. Several officers loaded the perp inside and took him to the old District 4 transit police station at Union Square. By then, the collar had gone bad. Kostick said Stewart became “very violent” in the van. He tried to run again at Union Square, so he was hogtied — bound at the ankles and tethered hands-to-feet by an elastic strap. Stewart’s wails drew two dozen Parsons School of Design students to their dorm windows. Transit police supervisors judged Stewart emotionally disturbed. They bundled him back into the van and took him to Bellevue Hospital, a mile away. Stewart was comatose by the time he arrived at Bellevue at 3:22 a.m., an hour after he was caught tagging.